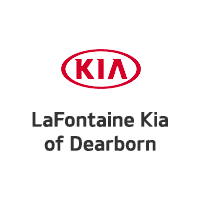 In Dearborn, you will find the LaFontaine Kia dealership. Come see the Cadenza, Forte, Optima, Rio, Rio 5-Door, Sedona, Sorento, Soul and the Kia Sportage. The LaFontaine Automotive group has Commercial Truck and vehicle specialists on staff who can help you with the right commercial vehicles to help you maintain and grow your business. Problems with your vehicle? Time for your next scheduled maintenance? Our well-trained service staff at our KIA Service Department are here to give you the highest levels of customer satisfaction. And, at LaFontaine Automotive we offer New Tires. You pay what we pay, and Not a Penny More! The LaFontaine Automotive Group also features four full-service, direct-repair Body Shops to provide all of their customers in Oakland, Wayne, Livingston & Washtenaw counties with top-notch collision repairs and services. Come to our Fenton Collision Center, Highland Collision Center, Lansing Collision Center or Ypsilanti Collision Center. Founded in 1980, the award-winning and nationally recognized LaFontaine Automotive Group includes 33 franchises in 17 locations across Michigan and employs over 1,400 people. The “LaFontaine Family Deal” offers customers more than the best price on a new or pre-owned vehicle, it is the attitude and approach to business developed and nurtured by the LaFontaine family. Our Mission Statement is to “Build lifelong relationships that connect families, strengthen communities and personalize the automotive experience.” The Family Deal. It’s not just what you get, it’s how you feel. The LaFontaine commitment to customers, staff, and local communities is demonstrated by active participation and contributions to numerous non-profit organizations, educational institutions and charities throughout southeast Michigan.